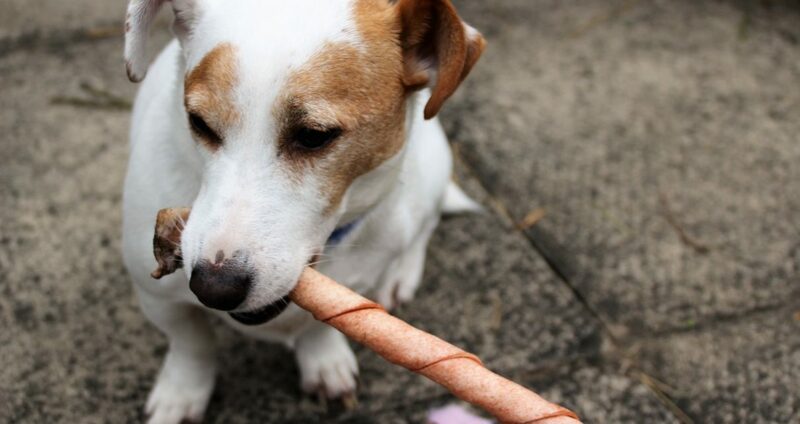 Jack Russells are very active dogs that need a wide range of toys to keep them fit and mentally stimulated. The best toys for Jack Russells are the ones that let them burn off their nearly boundless energy. The following article covers a wide range of toys that will fit any Jack Russells play style. The Chuckit! Kick Fetch Ball (Buy Online) is a large, light ball that is very easy to kick long distances. This ball will withstand even the most aggressive chewers since it’s made of durable canvas, rubber, and foam. And this ball has large grooves to make it easier for your Jack Russell to grab a hold of and bring back to you. Where this ball really stands out is how easy it is to throw or kick. You can either throw this ball by hand like any other ball. 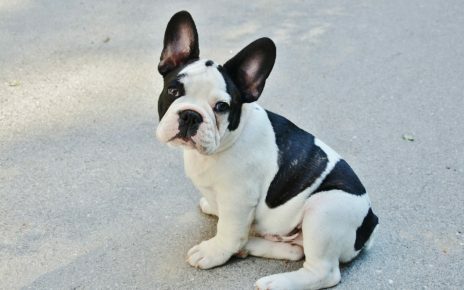 Or you can kick it which can make playing a game of fetch fun for both you and your dog. 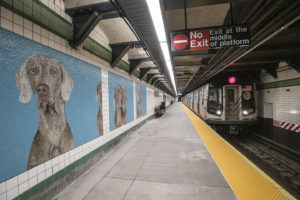 The first thing you will probably appreciate is that you won’t get dog drool all over your hands in order to play a game of fetch. And kicking a ball a long distance is much easier than throwing a ball to your dog over and over again. Overall the Chuckit! 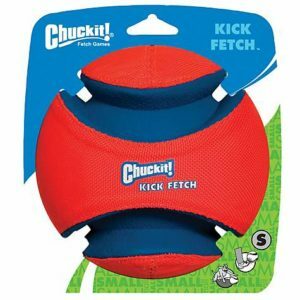 Kick Fetch Ball will make playing a game of fetch with your Jack Russell a more enjoyable experience. 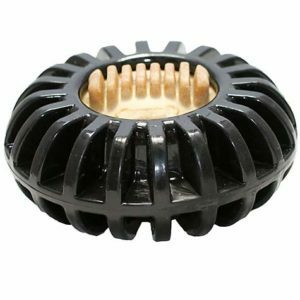 The Starmark Everlasting Treat Wheeler (Buy Online) is great for Jack Russell’s that are highly food motivated aggressive chewers. The Everlasting Treat Wheeler is made from an extremely durable material that will outlast regular rubber toys. And the toy itself is dishwasher safe so it can be kept clean during its long life. The Treat Wheeler comes with an included everlasting treat embedded in the toy. 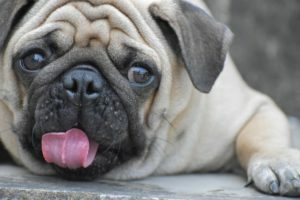 The dental treat is very strong and as the name implies it will last a long time. For most dogs, this treat will take hours or even days to consume. And when the treat is finally all gone, Starmark sells refills in a wide range of sizes and flavors. 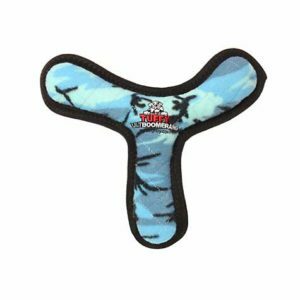 Tuffy’s Blue Camo Boomerang Dog Toy (Buy Online) is one of the few indestructible plush dog toys on the market. All Tuffy’s plush toys are built to last, thanks to the fact that they use up to 4 layers of durable fabric. And all Tuffy’s toys have reinforced seams that make them extremely rip and tear resistant. Of course, no dog toy can ever be truly indestructible so your mileage may vary. The Camo Boomerang is made to be easily thrown, so you can play a fun game of fetch with your Jack Russel Terrier. And it has squeakers sewn into the arms of the toy to make it even more appealing. And if it gets dirty while your out having fun, it can be machine washed so your dog will always have a clean toy to play with. 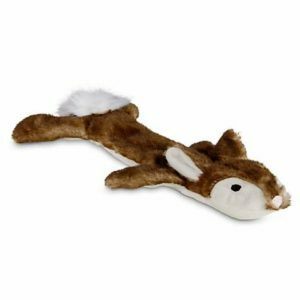 The Leaps & Bounds Unstuffed Rabbit Dog Toy (Buy Online) is a great toy for Jack Russells that love chasing small animals. This soft plush toy is unstuffed, so even if your dog does rip it apart their won’t be stuffing all over your house. Jack Russell Terriers were bred to hunt small animals like mice and rabbits so this toy is right up their alley. The toy even has a squeaker in its head that will even further stimulate a Jack Russells natural prey drive. All of these things combined pretty much guarantee your dog will pounce on it as soon as they see it. The Trixie Activity Chess Dog Toy (Buy Online) is the perfect toy for a clever Jack Russell Terrier. Anyone who has a Jack Russel has probably thought they are too smart for their own good. Giving them a toy like this will help them focus their innate intelligence on a task that is very rewarding and enjoyable. 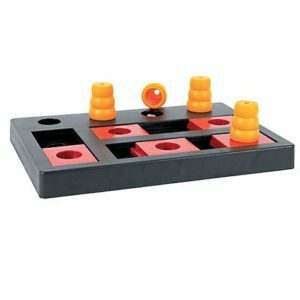 This chess set comes with four cones and multiple sliding pieces. The cones give your dog something to grab with their teeth to move the pieces. Under the pieces are little compartments that you can hide small treats to motivate your dog to solve the puzzle. 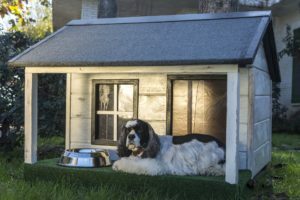 The puzzle pieces can be set up to make the puzzle easy at first, and then you can increase the difficulty as your dog learns how to play the game. Interactive puzzle dog toys like this chess set can be a fun new experience for you and your dog. 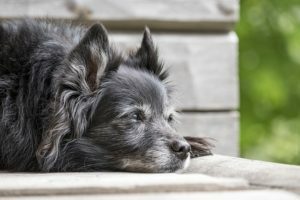 While most dog toys focus on the physical needs of a dog, very few truly address their mental well being. 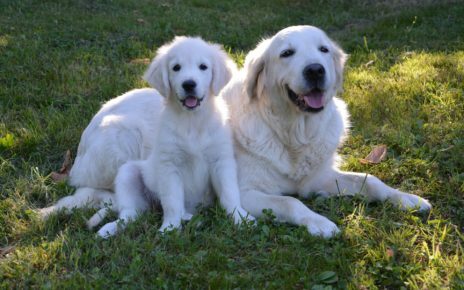 When a dog isn’t mentally challenged they can become bored and depressed which can lead to behavioral problems. Giving them a toy that makes them think, will make them feel more engaged and give them a sense of accomplishment. If you need new games for jack russells this chess set is worth a try. The KONG Jumbler Football Dog Toy (Buy Online) is a rugged ball that is built to last. Like all of the durable dog toys, KONG makes this one will give you years of enjoyment. The toy is constructed out of strong thermoplastic rubber with a tennis ball molded into its center. This ball has a very aerodynamic shape that will allow it to be thrown a much longer distance than most other balls. And when the ball hits the ground its shape and the tennis ball inside, will make it bounce in an unpredictable manner. The irregular bouncing will make chasing this ball much more interesting for a dog since it more closely mimics prey behavior. The tennis ball found inside this toy has a nice loud squeaker. Whats great about this is that this is one of the toughest squeaky dog toys for aggressive chewers. Since the tennis ball is molded inside this toy, it will be nearly impossible to rip out the squeaker, unlike the less rugged squeaky toys on the market. 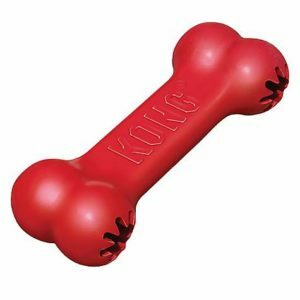 The KONG Goodie Bone Dog Toy (Buy Online) will keep an aggressive chewer busy all day. The Goodie bone can also be stuffed with hard treats or KONG Easy Paste in order to keep a dogs attention. And just like all KONG toys, this bone is built to last so you won’t have to run out and replace it after just a few days. This thick rubber toy has two holes found on each end of the bone. These holes have openings with rubber teeth to help hold small hard treats in place so they don’t easily fall out. 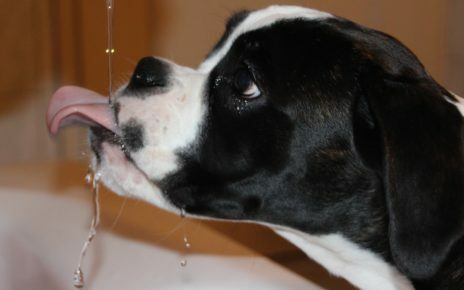 But if your dog works hard enough, they can lick and chew the treats out slowly which will keep them busy for hours. 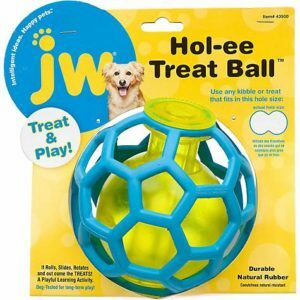 The JW Pet Hol-ee Treat Ball Dog Toy (Buy Online) is a fun toy that can be filled with a variety of treats. 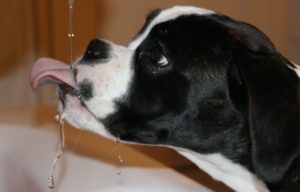 The toy is made of durable rubber, so it will hold up to moderate to aggressive chewers. And it has an embedded recessed squeaker that is very hard for a determined dog to tear out. The Hol-ee Ball can be filled with small dry kibble or treats to further entice your dog to play with it. The treats will fall out one by one as the ball hits the ground or when your dog shakes it. This ball will quickly become a favorite toy since it’s fun to play a game of fetch with, and it will always be associated with delicious treats. The Kong Tails Dog Toy (Buy Online) is a tug toy that is also well suited for playing a game of fetch. 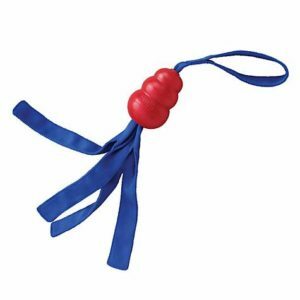 This toy is made of a classic KONG with nylon streamers threaded through it. The nylon will hold up to the most intense tugging your dog can dish out. And the classic KONG is one of the most indestructible dog toys available. This toy is very easy to throw long distances thanks to the long streamers that give you added leverage. The weight of the KONG at the top will allow this toy to fly straight and far with minimal effort. And the toy will be very visible in the air thanks to the long streamers so your dog won’t lose track of it. And once it hits the ground the irregular shape of the KONG will make it bounce erratically. If you need a durable dog toy that will serve multiple purposes the Kong Tails Dog Toy is a great option. The Leaps & Bounds Cog Rings With Rope Dog Toy (Buy Online) is a great toy for Jack Russell’s who love a good tugging match. This toy is made from strong nylon rope that is tied around a durable rubber ring. The rope is tightly braided so it will not easily fray and fall apart. And the rubber ring can withstand the bite force of much larger dogs than a Jack Russell. The ring is also perfect for young teething dogs that enjoy the soothing feeling of rubber on their teeth and gums. This toy can either be used to play a game of tug of war with your Jack Russell. Or it can even be used to play fetch or catch. And if you have two Jack Russell’s they can have a tugging match with this toy to see who gets to keep it.